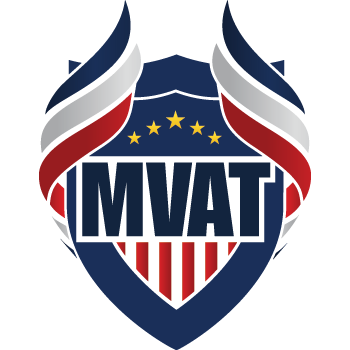 The 11th Annual MVAT Foundation Golf Classic delighted participants and sponsors, celebrated our veterans, and raised nearly $350,000 in support of MVAT Foundation programs. 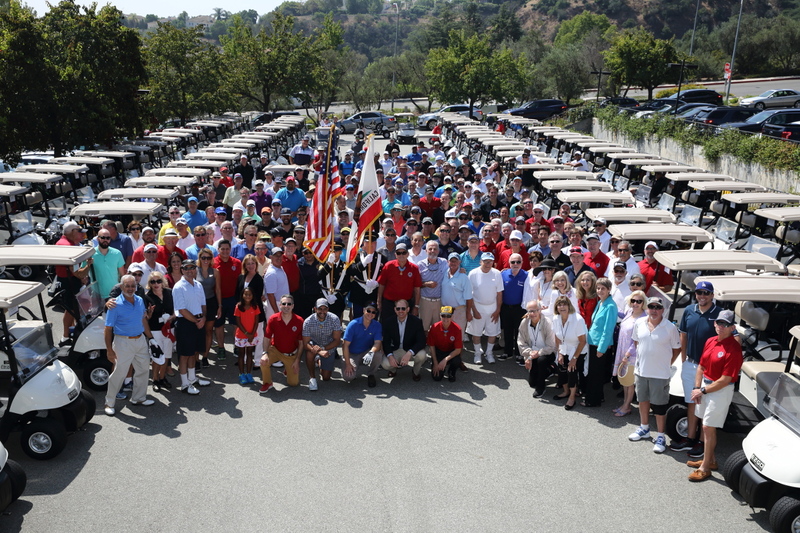 Held August 21, 2017 at the MountainGate Country Club in Los Angeles, the day opened with a moving Opening Ceremony attended by three Medal of Honor recipients, distinguished senior military officers, and nearly 200 golf tournament participants. After welcoming addresses, an Armed Forces Color Guard presented the colors. Vocalist Karine Da Silva delivered a passionate rendition of the national anthem. The Los Angeles Police Department paid tribute to the tournament and its supporters with a helicopter flyby. The Golden Stars skydiving team kicked off the post play reception with an incredible demonstration of aerial precision that included a wing-suited member racing across the sky and an American flag landing right next to the outdoor event space. In his first year as MVAT emcee, famed NBC4 weathercaster Fritz Coleman welcomed the capacity crowd with some of his renowned comedy routine. He then introduced MVAT Chairman Don Schwarz, who thanked the donors and sponsors whose support makes the MVAT Foundation’s programs possible. Next, MVAT Executive Director James Colbert took the stage and updated the audience on the progress of MVAT’s key veteran employability program, Heroes Linked. Following Colbert, Coleman asked retired U.S. Air Force Lieutenant General Nick Kehoe, a member of MVAT’s Board of Advisors, to introduce the Medal of Honor recipients participating in this year’s tournament. They were Major General Patrick H. Brady, Colonel Jack Jacobs, and Captain Florent Groberg. Major General Brady delivered the evening’s keynote address. A UH-1H ambulance helicopter pilot, on January 6, 1968, then-Major Brady utilized three helicopters (the first two had become too damaged by enemy fire to continue to fly) to evacuate a total of 51 seriously wounded men from severely contested landing zones. It was noted in the Medal of Honor citation that many of these men would have perished had it not been for Major Brady’s courage and conviction, which led him to land his helicopter in the midst of fierce battles, several times disobeying orders to not attempt the medevac missions. The entire audience was enthralled by Major General Brady’s address, which was focused on what it means to be an American. Surveying global history, Brady noted that he concluded that there are “three unique American characteristics bonded together by another indispensable virtue. American is exceptional because we are a uniquely courageous people, a uniquely compassionate people and a uniquely competitive people – and we have been a good people.” He continued, “[a]lthough we firmly believe in equality, we know we are not all born equal. In terms of ability and opportunity we are just not all born equal. In fact, there is only one way in which we are all born equal. Only in matters of courage are we are all equal. Just before the end of the event, the winners of the golf tournament were announced and the drawing for the 2017 Australia Adventure travel package was held. Mr. Dan Pondella of Sherman Oaks, California was the 2017 raffle winner. The evening concluded with the entire crowd singing God Bless America, led by America’s Tenor, Mr. Steve Amerson.